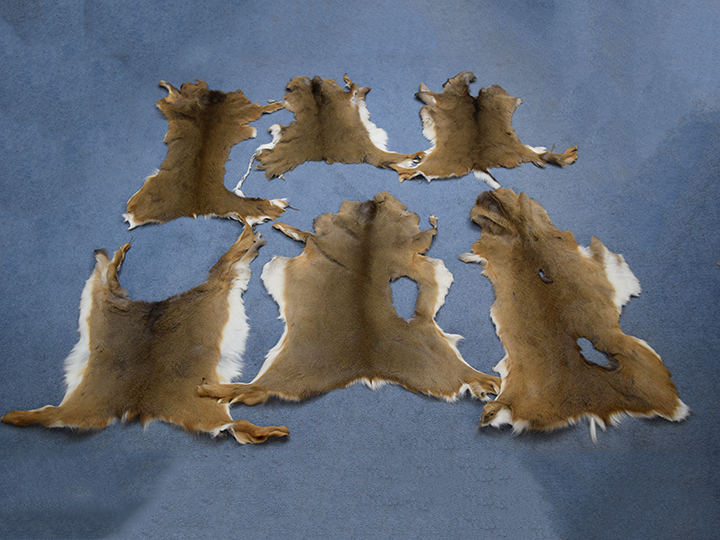 These are tanned white-tailed, or whitetail, deer skins. They have a reddish-brown coat in the spring and summer that turns to gray-brown in the fall and winter. This deer has a distinctive white underside to its tail. 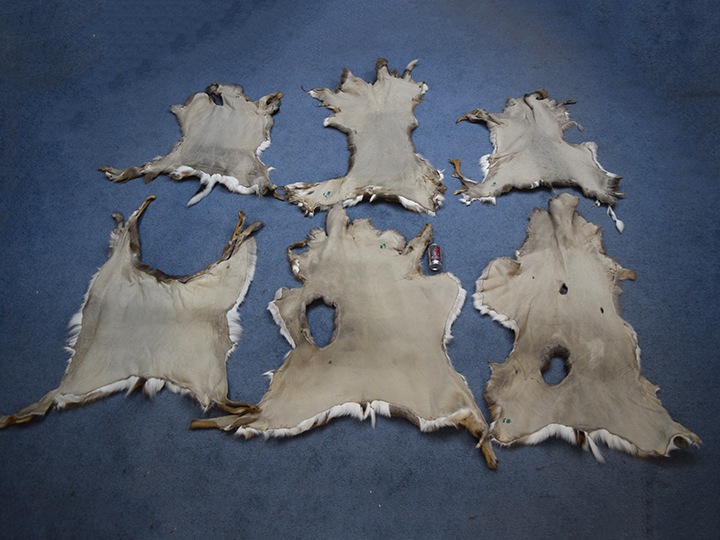 These genuine white tail deer skins are ideal for wall mountings, floor displays that are not walked on, etc. Each skin weighs approximately 2.5 lbs or 1.13 kg. We offer these in three grades. The #1 hides are mostly flawless, more plush and with better coloring than the #2 hides. The #3 hides are perfect for fly-tie and crafts. The hair length of #1 and #3 hides are approximately 2" long. The difference between them is how many holes there are and the location of the holes. Also, the hide of a #3 is usually misshapen. 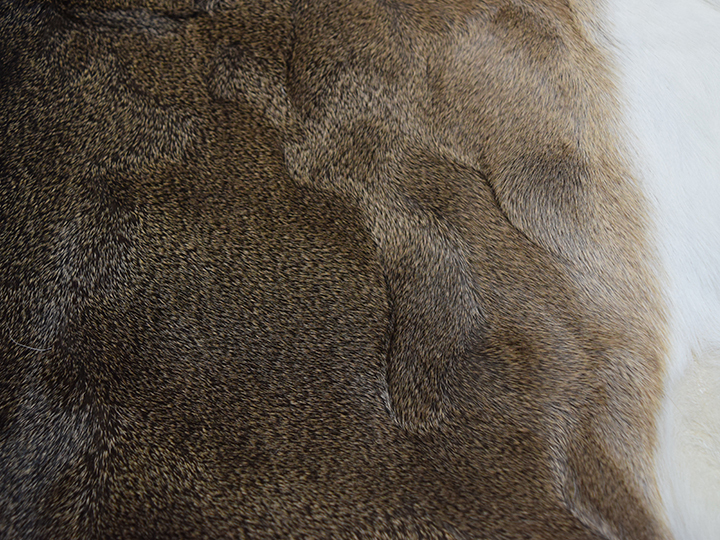 The hair length on our short hair white tail deer is approximately 1" long. 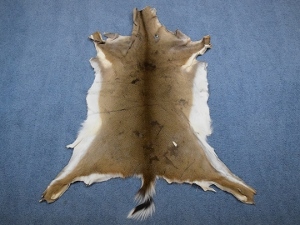 Please note that deer have a hollow hair and are not ideal for rugs. If you walk on them or let a large dog sit on them, the hair will break and shed over time. 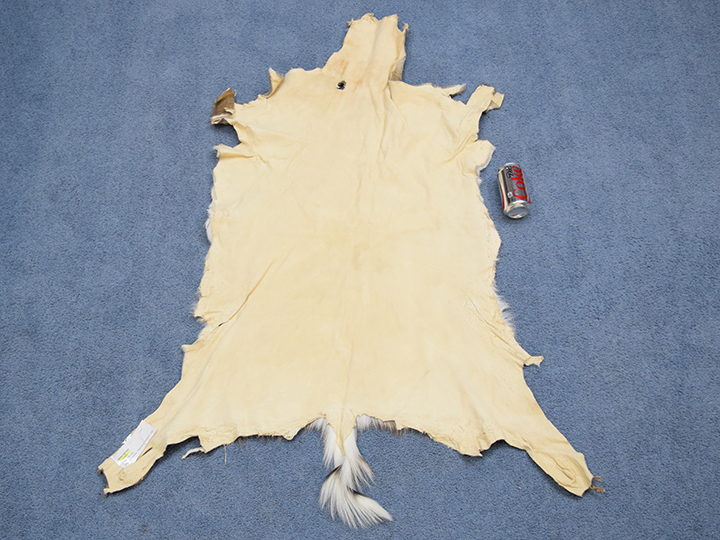 Our Gxx codes denote individual white tail deer hides. 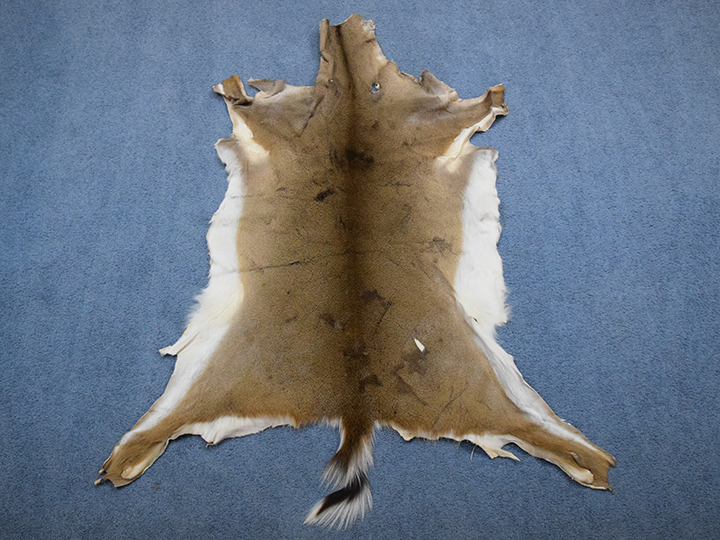 If you would like to order a specific hide, please go to our Galleries of #1 and #2 White Tail Deer to pick the exact one shown.